In very simple terms, rhinoplasty or nose job is the surgery by which the shape of the nose can be changed. The surgery could be conducted for cosmetic or medical purposes, such as better breathing. The procedure can be used to improve the bone, the cartilage, the skin or the nose, or even all three of them. 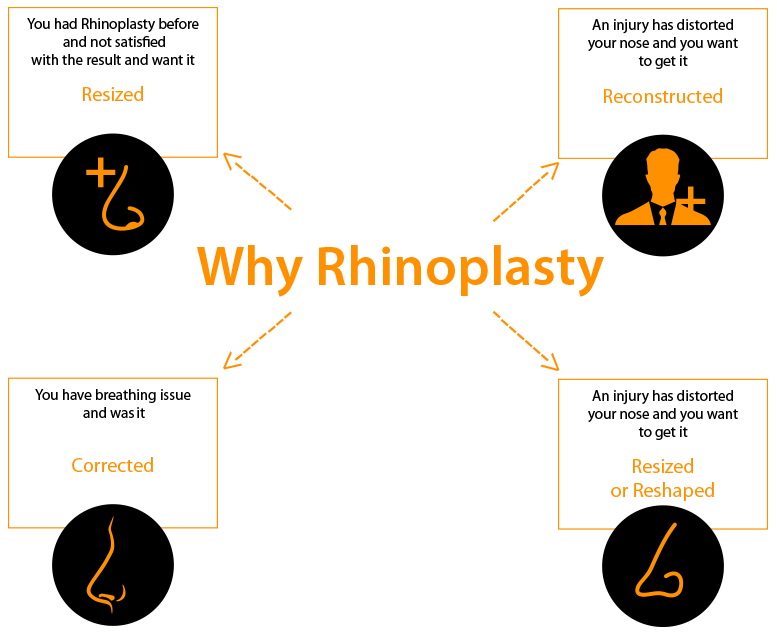 The rhinoplasty surgery cost in India depends on many factors – extent of the job, technique used, kind of problem like saddle nose or crooked nose, the surgeon and location. A rhinoplasty or a nose is a cosmetic plastic surgery procedure to reshape or resize your nose. Are you a candidate? want to be the one? find few reasons why you should go for it. A small incision is made on the columella, which is the exterior part of the septum. This incision is made in addition to the normal incisions that would be made for such a procedure. The very first time a rhinoplasty is conducted for either better functioning, reconstruction or correction. When a second rhinoplasty has to be conducted, because the primary surgery did not have the desired results. This is also known as revision rhinoplasty. Normally, secondary rhinoplasty procedures are much more complicated, because for the first one, the actual structure of the nose would have been altered. So, in order to have the desired results, the surgeon will have to recreate the support systems from scratch. The cartilage for the grafts might have to be harvested from the rib cage or the ears. As the name suggests, this type of surgery is about reconstructing what might have gotten damaged. The damage could include displaced or broken bones in the nose, displaced cartilage, collapsed nasal bridges, defects that have been present since birth, autoimmune disorders, trauma or accident as well as failure in the primary surgery. Non-surgical rhinoplasty is yet another medical procedure, in which fillers are used, which can be injected into the nose. 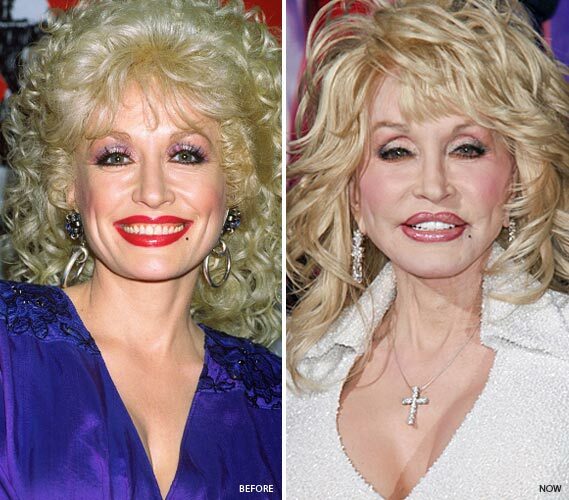 These fillers can either change or simply shape the nose, without any incisions or sutures. If there are any depressed areas of the nose, these fillers are injected to create a rise. This means that this procedure can be used only to increase the size of the nose, but not reduce it. At times, the procedure is used to ease out breathing difficulties. Before your surgeon can get you started on your procedure, you will be asked several questions about your health in general. Your medical history will be looked into, in detail, and if you have or have had any serious medical condition, you will need to mention the same. You will have to undergo a thorough medical examination to ensure that you are physically fit for the procedure. These tests will include blood tests, heart functions and sugar levels. You blood will be checked and your medications will also have to be monitored. If you are a smoker, you will be asked to refrain from doing so, a few weeks prior to the surgery. You might also be asked to avoid medications such as aspirin, as these could lead to increased bleeding. Anaesthesia – The patient will be administered either general anaesthesia or sedation to ensure complete comfort during the procedure. Incision – Irrespective of whether the surgeon is performing an open or closed rhinoplasty, there will be incisions. The only difference is where the incisions will be placed. Once the incisions have been made, the surgeon will be able to raise the nasal bones and cartilage. Reshaping – If the nose is too large, some of the bone or cartilage will be removed. Alternately, if the nose is too small, grafts will have to be taken from other parts of the body. Grafts can be taken from the septum, rib cage or ears. Correcting a deviated septum – If it is the septum that has suffered damage, then the same is straightened out. Closing the incision – Inside or outside, the incisions are then closed up. The nose will have been sculpted to the desired shape, and the skin will be pulled up before closure. Will I Have A Perfect Nose, Post-Surgery? There is no guarantee that you will have a perfect nose, but yes, you can get closer to your ideal nose. As a matter of fact, a good surgeon will never promise perfect results or raise your hopes too high. What Happens If I Am Not Happy With The Rhinoplasty? In case you are not happy with the results of your first surgery, you can always opt for another surgery, wherein the focus will be only on correcting what does not seem appropriate. Could I Have Trouble Breathing? Will I Need To Reveal My Medical History To My Surgeon? Absolutely – your surgeon will need to know what medications you have been taking, including vitamins and supplements. You will also have to tell them about any surgeries that you might have had. When Will I Be Able To Return To A Normal Routine? You should be able to go home the same day or the next day, but you will not be able to resume exercise or any strenuous activity for a while. Your doctor will be able to advice you better on the same.